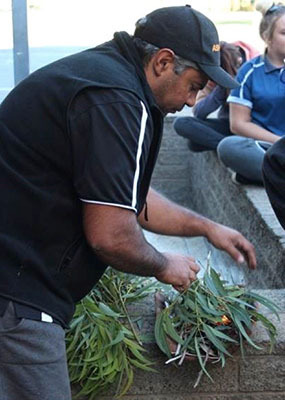 The Academy of Sport, Health and Education (ASHE) uses participation in sport to undertake education and training within a trusted, culturally appropriate environment, particularly for Indigenous students. To improve Aboriginal equality and overall life outcomes using a distinctly unique community development and whole-of-life support model, providing accessible, culturally-relevant education, training, health and employment opportunities and outcomes to primarily – but not exclusively – Aboriginal people. In 2004 the Rumbalara Football Netball Club (RFNC) in partnership with the University of Melbourne’s Faculty of Medicine, Dentistry and Health Sciences established The Academy of Sport Health and Education (ASHE). 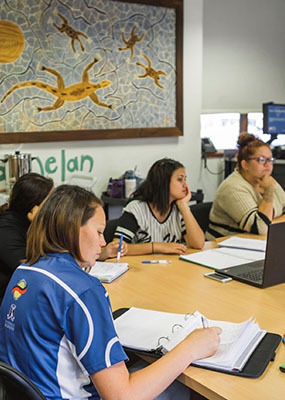 ASHE was formed as a community and educational resource to provide young Indigenous people with an educational setting and support for their transition to employment or further education. ASHE is a partnership between The University of Melbourne and Rumbalara Football and Netball Club (RFNC). RFNC is at the centre of community leadership, with a proven record delivering community programs. The University of Melbourne brings academic expertise, organisational capacity and a long-term commitment to engagement with the region through its Goulburn Valley Partnerships. This partnership, in collaboration with GOTAFE and its culturally friendly and flexible programs, forms the foundation of ASHE. ‘GOTAFE is the trading name of Goulburn Ovens Institute of TAFE (RTO 3094)’. ASHE has a focus on Indigenous youth, which is non-exclusive. It prioritises student development opportunities in education and employment and provides initiatives in health and sport as incentives. Find out about the certificates, programs and courses offered at ASHE. ASHE serves the needs of all people in the community. The partnership between RFNC and the University of Melbourne is a significant and robust. RFNC is at the centre of community leadership, with a proven record of delivering community programs. The University of Melbourne brings its academic expertise, organisational capacity and long-term commitment to engagement with the region through i's Goulburn Valley Partnerships. This partnership, in collaboration with GOTAFE and its culturally friendly and flexible programs, forms the foundation of ASHE. Focus on individuals and their personal needs by providing individualised education and career planning. Conducted with the support of the GOTAFE as its Registered Training Organisation. Useful links for current students. A non-profit, youth entertainment organisation established to provide opportunities for young people to access affordable, alcohol free events and to have the option to participate in the life of the local community. A web-based service that inspires young people to help themselves through tough times. Provides the community with access to online health related information which is quality assured, reliable, up-to-date and locally relevant. Works in partnership with organisations, communities and individuals to make health a central part of our daily lives. Aims to provide all Victorians have access to quality services that protect and enhance the community's physical, mental and social well-being. Multidisciplinary network representing medical, nursing and allied health students aiming to increase the health workforce and health outcomes for rural and remote Australians. General information regarding the Australian National Heart Foundation. Dedicated to eliminating the pain, illness and suffering caused by tobacco and smoking. Cancer Council Victoria's skin cancer prevention program. Information on general health issues affecting men, women, families and young people. A wide range of up-to-date and quality assessed information on important health topics. Information on healthy eating, active living and health promotion activities in the community including links specifically for teenagers and young people. Works in partnership with the community to strengthen its capacity to prevent alcohol and other drug problems, and reduce alcohol and other drug harms. 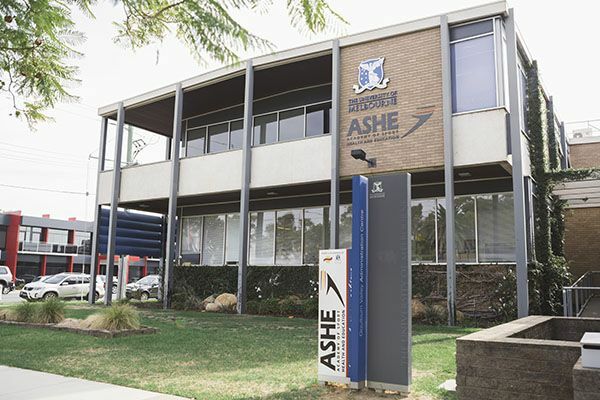 ASHE is a partnership between The University of Melbourne, Rumbalara Football and Netball Club.